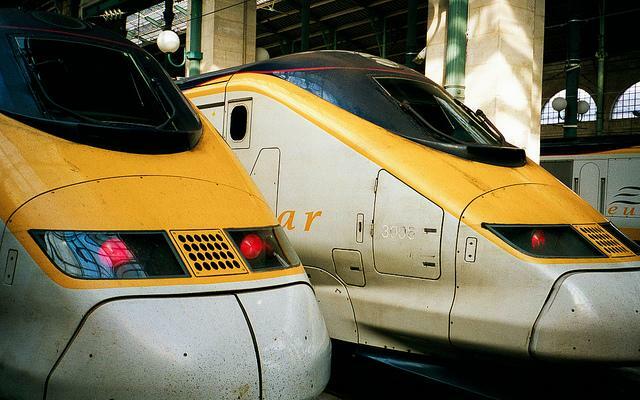 A pair of high-speed Eurostar trains in France. 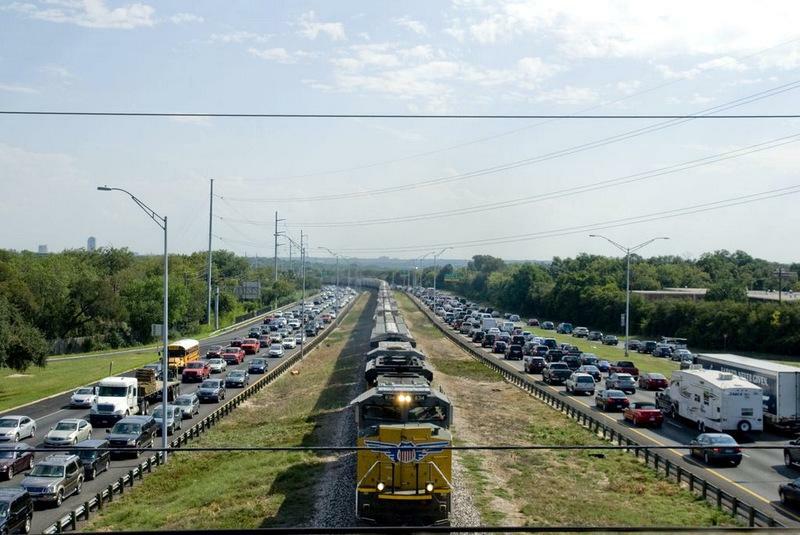 Austin and San Antonio leaders are in initial talks with federal officials regarding a rail project to link the cities. Officials in Austin and San Antonio are in talks with the U.S. Department of Transportation about receiving federal funding to facilitate connecting the two cities via high-speed rail, according to local and federal officials. “I think that that concept has a lot of promise, and we just have to continue working with the local community to see how to get it in shape and see what we can do on the federal level,” U.S. Transportation Secretary Anthony Foxx said. San Antonio Mayor Julián Castro and Austin Mayor Lee Leffingwell confirmed ongoing conversations on the possibility of federal funding for the project. Castro initially spoke with Foxx earlier this year about the prospect of awarding federal funding toward such a project, according to officials aware of the discussions. "Secretary Foxx and I had an encouraging discussion about the future prospects for high-speed rail between San Antonio and Austin," Castro said in a statement. "That kind of project would be a spectacular economic development generator for both cities in one of the fastest growing regions in the state." The funding would go toward the Lone Star Rail District, a long-standing partnership between area public agencies to eventually build a passenger rail system between the Austin area and San Antonio on a Union Pacific freight corridor that parallels Interstate 35. Leffingwell said he would advocate for a San Marcos stop in a high-speed rail corridor because of the growth of Texas State University. 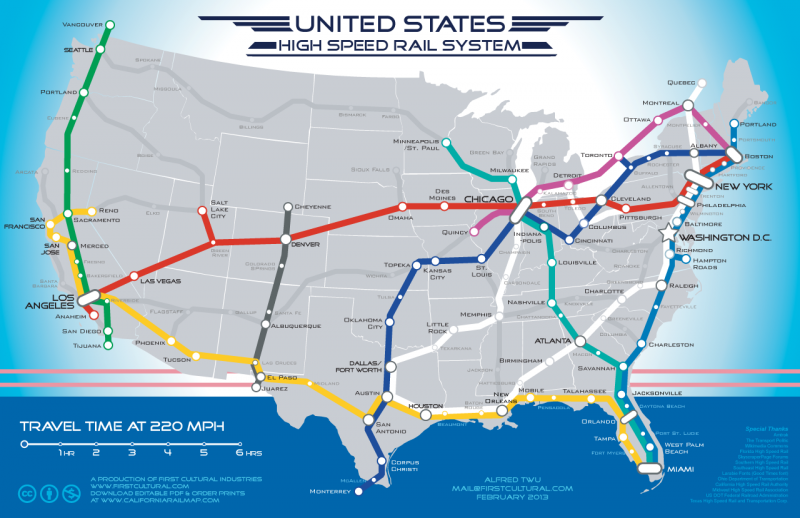 Texas has been discussed as an ideal spot for a high-speed rail system for decades. Building such a system to connect San Antonio and Austin would cost billions of dollars. Since 2008, the federal government has awarded more than $3 billion to states for high-speed rail development. Texas has received $24 million, the bulk of which came as $15 million in federal stimulus funding for preliminary engineering and environmental analysis research to develop a high-speed rail corridor between Dallas-Fort Worth and Houston. Last year, TxDOT launched a two-year, $14 million study of passenger rail service between South Texas and Oklahoma City that included $5.6 million in federal funding. A Japanese-backed private firm announced plans last year to build a 205 mph bullet train between Houston and North Texas by 2020 without public financing. Texas Central Railway is expected to announce more details of the project, including where it would like to build its stations, later this year. Editor's note: An earlier version of this story incorrectly reported that the federal funding under discussion would go to a rail project other than Lone Star Rail.